Day 26 brings us Dylan J. Morgan! 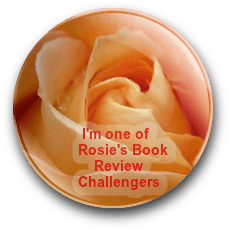 I had the pleasure of receiving an ARC of Dylan’s new book, The Sickness, through Rosie’s Book Review Team and it’s a perfect book to curl up with this time of year – alone, if you’re brave enough. Today is release day for The Sickness! A husband confronted by his jealous wife . . . an old man abandoned so his grandson can claim his inheritance . . . a fifteen year-old boy disowned because of his handicap. All of them are dead. All of them have returned. And they have come for revenge. James Harris is thirty-six years old, divorced, and has a sixteen year old rebellious daughter to contend with. His chaotic life is thrown into further turmoil with the phone call bearing news that his parents have died in tragic circumstances. Forced home to attend the funeral, James steps back into a world he’d tried so hard to forget. Nash is a small farming community in rural England: picturesque and serene, but it has secrets—violent, horrific, depraved secrets. 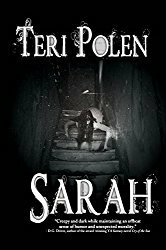 Wanting to keep their business hidden, the townsfolk are not about to let anyone leave. But when an unexpected visitor arrives in the village searching for James, things take a horrific turn for the worst and he is forced to face the horrors of his past if he is to have any hope of survival. I’ve been writing stories since I was about ten or eleven years old but those early efforts are long gone. I’ve been writing to get published since 2003 and have always written in this genre. The main aspect that draws me to horror is its diversity, and the ability to weave other genres into my writing. I can include science-fiction, mystery, western, romance, even erotica, and it’ll fit perfectly because horror is so forgiving. Whenever I pick up a horror book I’m always been open to the possibility of anything happening, and I write that way too, which gives me so much more freedom of expression. A song; or, more accurately, the lyrics of that song. I’m a huge heavy metal fan, and one of my favorite bands is Disturbed. Their song Down With The Sickness is right up there as one of my favorites, ever, and after listening to it as often as I have a story of depression and violence and monsters called to me from the lyrics. Obviously, I can’t quote lyrics here, but a lot of the lines in the song relate—to me at any rate—to sections of the book. The title of the novel refers to the sickness manifesting in my book’s characters, and is not a direct quote from the song, although it’s kind of cool that they fit together. I’d like to erase—and have done so in some of my books—certain monster traits that make them so much weaker than they would normally be. For instance, vampires burning up and turning to dust in sunlight: let them wander our streets in broad daylight because that would take away the safety of sunlight and make vampires a constant threat. Also, werewolves transforming under the light of a full moon. Why can’t they transform at any time? Why not let them have full control over the beast inside and be able to transform at will. That would be so much more terrifying. I’m nearing the end of The Dead City, which is a post-apocalyptic/Sci-Fi/Military adventure story, set in mankind’s distant future in a solar system which is not our own. It tells the story of a company of soldiers entering a city destroyed by nuclear conflict in search of hidden wealth, but what they encounter is a population mutated by fallout into blood thirsty monsters. It’s the sequel to The Dead Lands, a book I released in the summer of 2014, which has gotten a number of great reviews. I’m hoping The Dead City, which tells a new story after the events in The Dead Lands, is just as well received. I’m sure this wouldn’t be everyone’s first choice of favorite movie, and they’re certainly not classics, but my favorites have to be the Underworld movies. I enjoy the entire franchise, but the first three are by far the best. I really enjoy the thought of ancient European cities being inhabited by clans of warring werewolves and vampires. The movies (and in particular the first) went a long way to inspiring my Blood War Trilogy of novellas—a series of books detailing a centuries old war between werewolves and vampires and a hybrid race of the two species. I’ve read that a fifth film has been given the green light, with Kate Beckinsale reprising her role as Selene, and that’s got to be a good thing. As for my favorite book, it’s also not what you’d probably expect, and it’s certainly nothing written by a household name in the horror field, but Kin by Kealan Patrick Burke is perhaps the best book of any genre I’ve ever read. Not a lot of horror fiction scares me, or grosses me out, but Kin did reach those levels at times. Burke is one of my favorite authors, and I’d rather buy his work than anything by King or Koontz. He really excelled with this book. I recommend anyone wanting a disturbing read to pick up a copy of Kin. 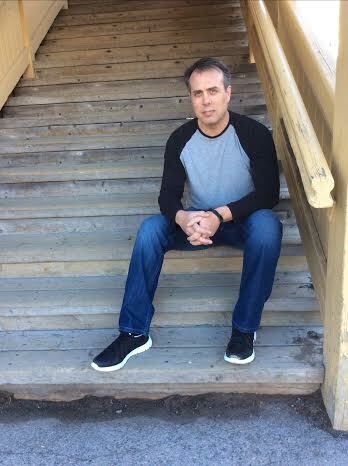 Dylan is the author of eight books, all available exclusively to Amazon, including the Blood War Trilogy of vampire novellas and the Stephen King-esque horror novel Flesh. He also writes post-apocalyptic fiction, including The Dead Lands and its sequel, The Dead City, which is scheduled for release in the summer of 2016. 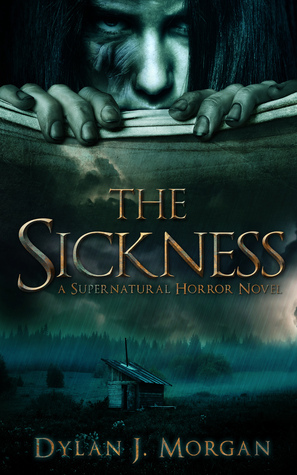 His newest horror novel, The Sickness, is out on October 26th 2015, just in time for Halloween.